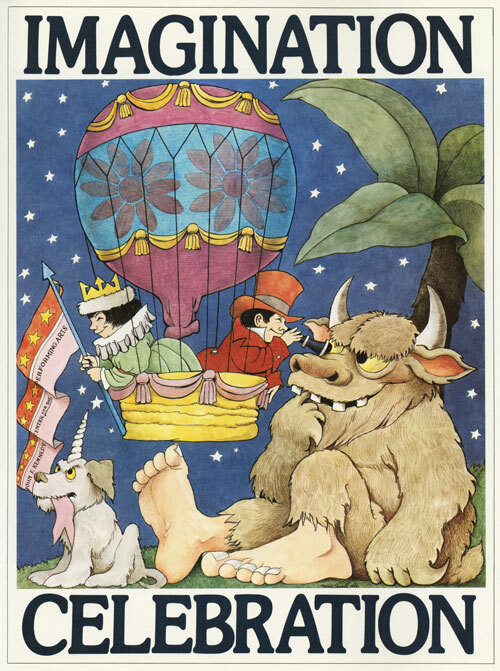 But the most timeless truth about Sendak’s genius lies in how his books granted and continue to grant validity to children’s imagination — not only in its boundless light but in its deepest darkness, too. For the latter he offered solace not through escapism but through solidarity: Yes, he seems to say, life is difficult and scary — but if we spend half of it in darkness, we might as well find rays of hope in the shadows and befriend the monsters lurking there as indelible companions in our conquest of the luminous half. The conversation became the sincerest and most creatively revealing interview Sendak ever gave. Nearly half a century later, the Studs Terkel Radio Archive — a wonderful cultural preservation initiative by Terkel’s home radio station, Chicago’s WFMT — is enlisting the help of the public in transcribing and digitizing a thousand of his most notable interviews, including this one, which they have kindly offered as a Brain Pickings exclusive. I love … Blake’s adoration of the child self as being the best part of the human self. How sad that as adults, we just drop it along the way — or are embarrassed by it, often. There are so many adults who enjoy a book for children but are vaguely embarrassed at enjoying it, as though only their children should enjoy it and there’s something strange about them enjoying it — which is such an odd twisting and distortion of the pleasure of having your child self intact and alive and something to be proud of. It’s an emotional quality — and they come up, they really well up, like when I wrote In the Night Kitchen… As the book grew, you’re just never so happy… You’re living two lives — you’re a 42-year-old man, and you’re a four-year-old boy. And it’s a little confusing, but it’s memorable. It’s a stupendous feeling — it’s the greatest joy in the world. And you know the validity of it because it comes pouring into your head. I don’t set out to write for children. I don’t consciously set out to write a book for some imaginary child. I just write the book because I have to… I don’t have any audience in mind except my own pleasure. 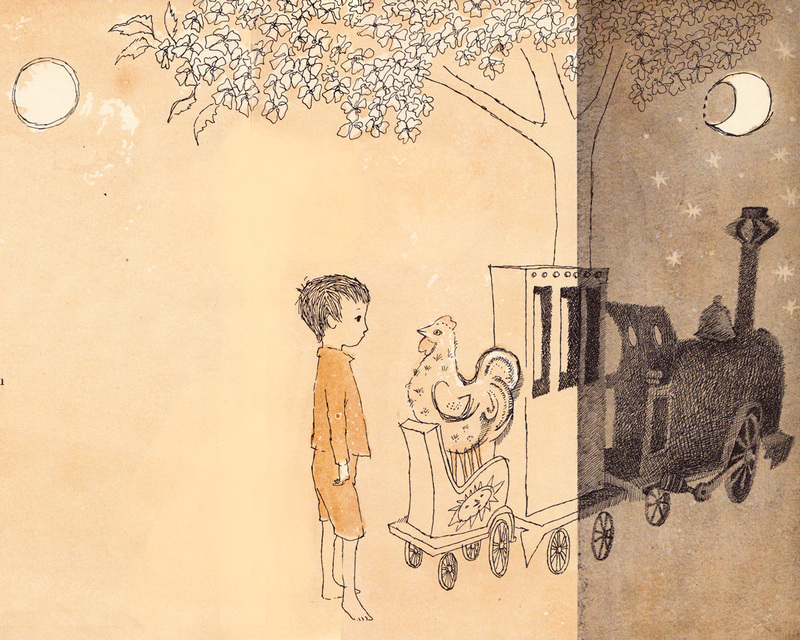 What I love [about] illustrating a book is that words and pictures do things for each other. To just illustrate a word is pointless — you’re just laying down a picture. But if you have the picture doing something other than what the word is doing, then something marvelous might be happening… You get a dimension in a book. That’s the beauty of book writing and illustrating. There’s nothing so dull as translating books that are beautifully written into a picture — the author’s already done that, so you as an illustrator must contribute something else: adorn the word, or go inside the word, or go around the word, but extend it in some marvelous way to make it a beautiful thing. And that’s the great fun. There are always ideas that sit in your head… A stray sentence from ’58 sits in my head, a stray sentence from ’62 sits in my head; I have a title for the past eight years now, which I just love, but I don’t have the story to go with it; I even have a subtitle, but don’t have a story to go with it… You get these little hunks of fragments [and] you just wait, and you’ve got to be very patient. Eventually, if they’re good enough, they come together. If they stink, they fall away. Be as foolish and as silly and whatever as you want, but you tell the truth in some way… Kids know instantly when you’re not, and how awful to not tell the truth — what’s the point, really? 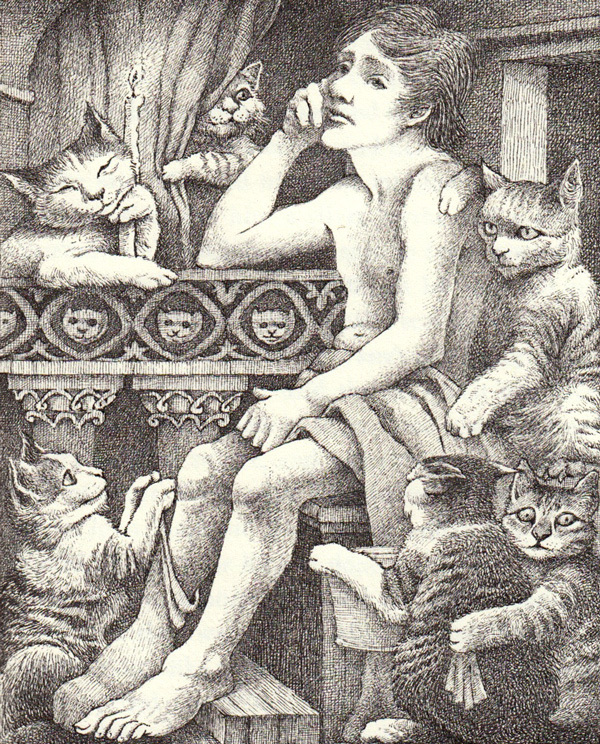 Complement with Sendak’s darkest yet most truthful and optimistic book, his rare and formative illustrations for Blake’s Songs of Innocence, and his posthumous love letter to the world, then join me in supporting the Studs Terkel Radio Archive digital conservation initiative.